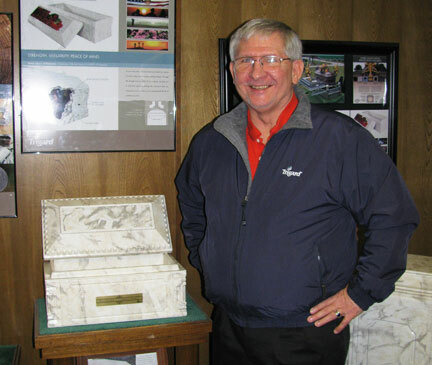 Mike Peery of Central Burial Vaults, Inc. in Oklahoma sent us this picture last week of his showroom. We like his set-up, and his Trigard jacket. Thanks for sharing, Mike! We loved hearing from you. Keep up the great work. Do you have pictures to share? Email them to us, or post them to our Facebook page and we'll share them in our eNewsletter. Want to purchase a Trigard jacket for this spring? Call Customer Service at 800.637.1992.